Congratulations Dundas Real McCoy's on your 2014 Allan Cup Victory! The entire week was full of energy from the volunteers, organizers and teams. 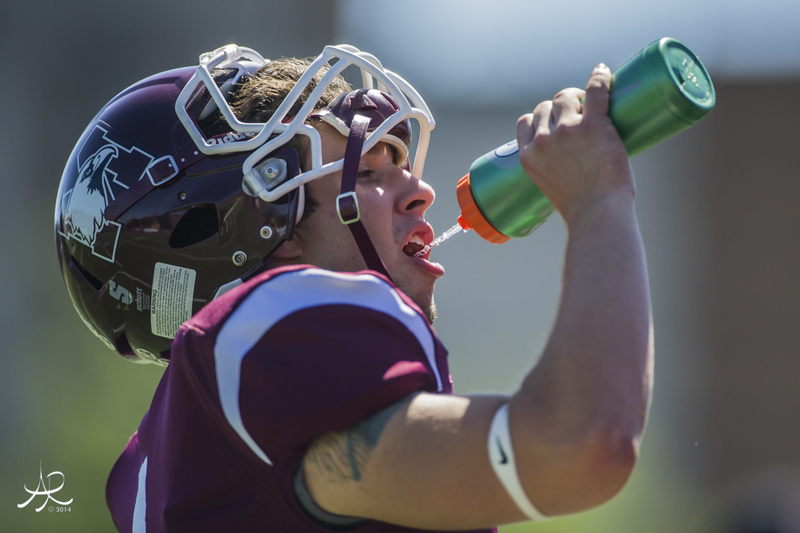 I had a great time shooting for Hamilton Scores "The voice of the #HamOnt amateur sport community". All my photographs from the event can be viewed at www.Presentitphoto.com (Direct Link-2014 Allan Cup) Please enjoy my favourite picks from the tournament. On a personal note, my little guy tried out for rep that year and didn't make it. The coach of the Atom Selects was a former Real McCoy's player giving his time to share the love of the game. A wonderful parent network and commitment to the team led to lifetime experiences for our boys. These moments add growth to our children and deepens the ambition to be better hockey players. In my sons case, he wanted to try out for the rep team again. Once again he didn't make it. In light of some events he was asked to join the team. He had a great hockey year and the team building experiences are unforgettable. Now that hockey tryouts are around the corner, he has come to play. 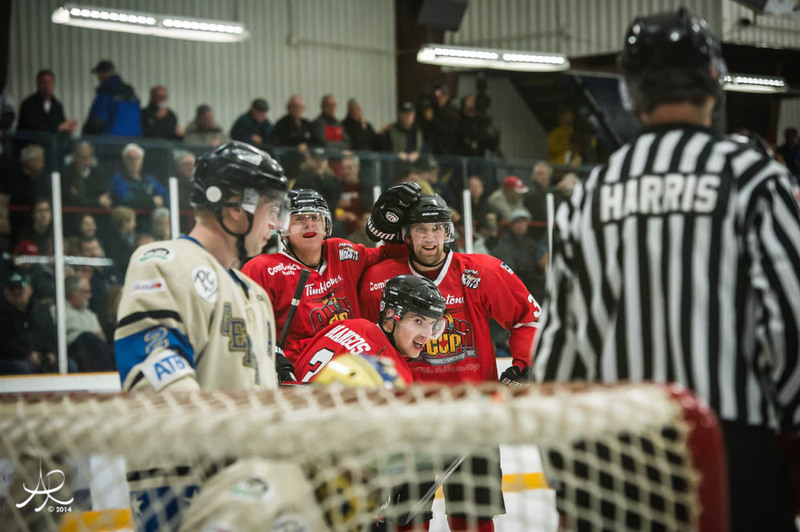 The Allan Cup Championship game has momentum that is inspiring to a young athlete. Mentorship is not only a one time moment, it is an ongoing connection and relationship. 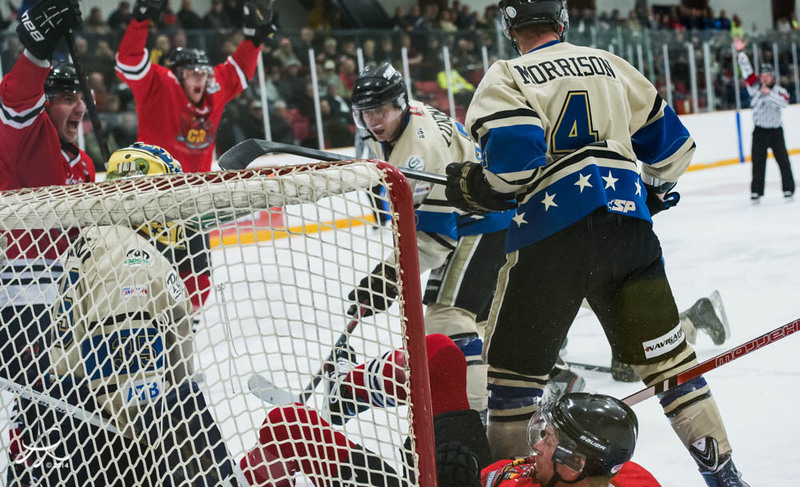 The feedback from the 2014 Allan Cup by community members give a sense of loyalty and pride. 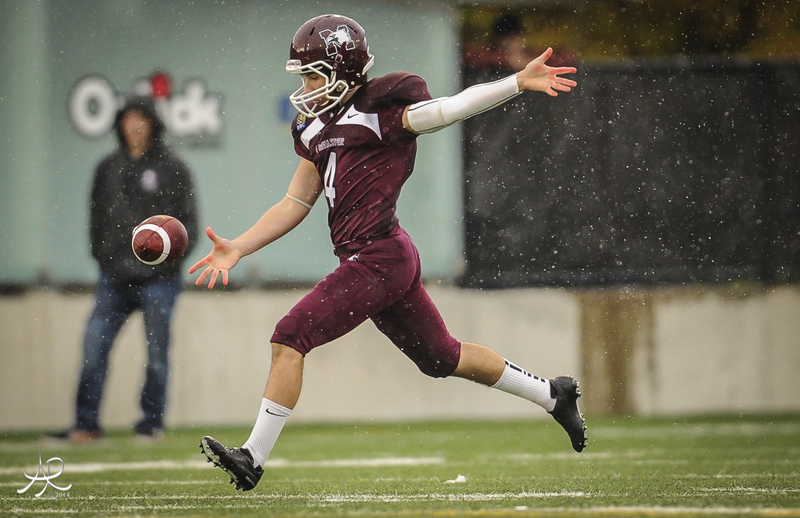 I am pleased to present this video from the Championship day! It was an extremely busy week. Just coming out of the OBA's in Windsor my computer hard drive failed. Creative Technologies in Burlington has worked hard to get me up and running. I hope to have a newly revised machine by the end of the week. Now among all that my daughter caught that awful hacking cold and was off school all week, my son had multiple sports-lessons and his birthday celebrations, I was shooting tons of hockey, my colleague from the Syracuse Crunch was in town to shoot the Bulldogs and I was hosting Easter Dinner. Needless to say I stopped to smell the roses in the beautiful flower bouquet from by sweetheart. Ahhhhhhhhh got it all done though! As I wind down from hockey season, I will be processing the last of the images and putting together a portfolio specific to hockey. 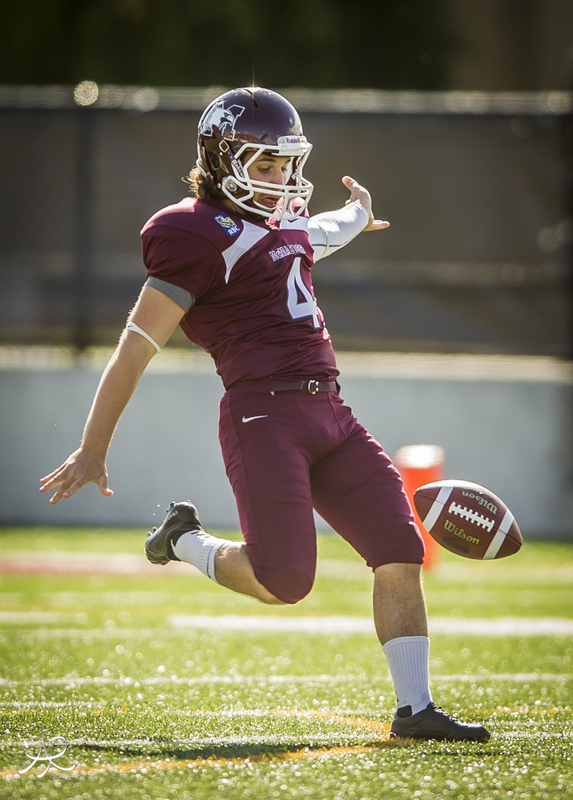 Dave Black, SI photographer said my football is strong, but where is all the hockey? If I'm from Canada I should have more hockey in my portfolio. Well ya gotta listen and do when someone like Dave gives you advice. OH and I am very excited...no wait jumpy excited to meet with Dave Sandford-NHL photographer to gain some valuable photographic advice. It's kinda funny because I first met Dave Sandford back in 1997 at an event I was running. Yesterday when I was going through some photos I found this one one of a future NHL'r from the Whitby area. Jason Ward played in the OLA Celebrity Lacrosse Challenge. Here he is with NHL greats (L-R backrow: Adam Foot, Gary Roberts, Jason Ward, Joe Nieuwendyk, Colin Patterson. L-R Front Row: Darren Pang, Doug Gilmore, Brendan Shanahan, Stan Johnathan) all played lacrosse to improve their hockey skills. 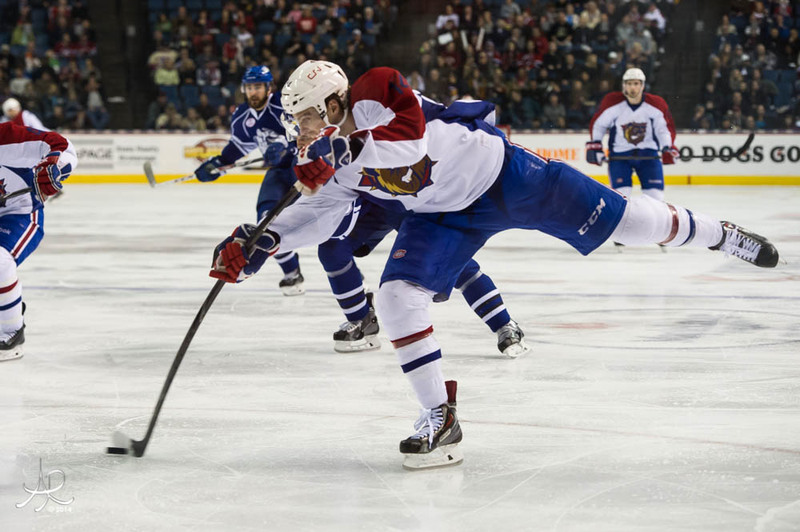 The Hamilton Bulldogs (1) finished their season with a loss to the Syracuse Crunch (3) on April 20th, 2014 at FirstOntario Centre. 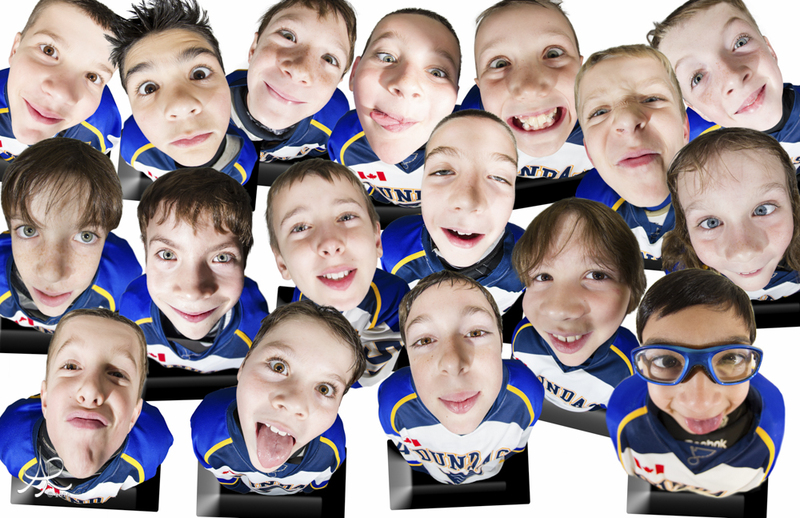 Shout Out: Thank you Brandon Taylor, Hamilton Bulldogs photographer for sharing the glass and strobes all season. From beginning to end, it was so much fun to work with you. 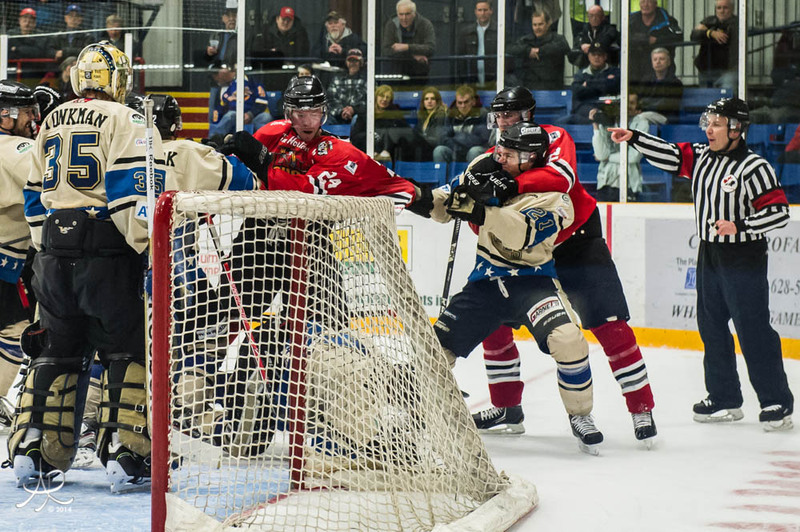 DUNDAS—Ryan Christie was everywhere – even trapped on his back in the Bentley Generals net – as the Dundas Real McCoys skated to a 6-2 victory in the second day of preliminary round play in the 2014 Allan Cup Hockey Tournament Tuesday night (April 15) at the JL Grightmire Arena. The Dundas Real McCoys score, en route to a 6-2 victory over Bentley Generals on Tuesday night at the Grightmire Arena. Earlier in the day, Clarenville Newfoundland and Labrador Caribous defeated Kenora Thistles, 5-2.Dundas leads preliminary play with two wins. 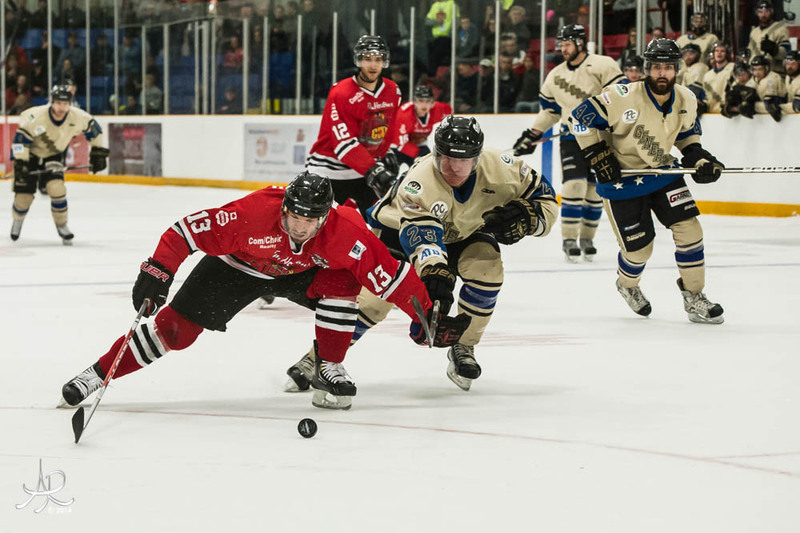 On Wednesday (April 16) in preliminary round play, Brantford Blast takes on Clarenville at 3:30 p.m. followed by the Generals- South East Prairie Thunder contest at 7:30 p.m.
Christie with all his rambunctious play finished the night with a shorthanded goal and an assist, and six minutes in penalties. On the scoreboard, Greg Stewart led the Dundas attack with a pair of goals including a shorthanded one, while Justin Davis had a goal and two assists. Nick Smith and Scott Mifsud added single goals. Simon Mangos set up two of the Real McCoys goals. Kyle Bailey scored both of the Bentley goals, one on a shorthanded play. 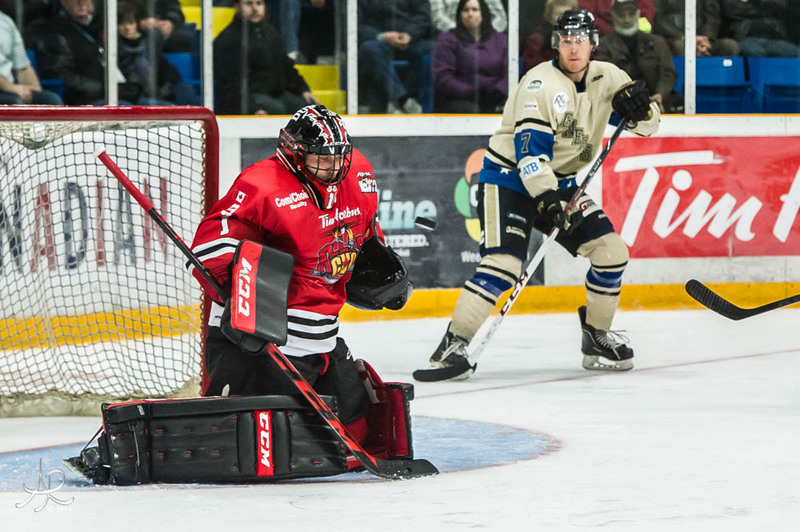 In the earlier game, Martin Lapointe became the hero rather than the goat for Clarenville as he returned from a high sticking penalty to score the insurance goal in the Caribous’ victory over Kenora. Lapointe was sent off at 10:35 of the third period, and Kenora turned up the heat on Clarenville, only to turn over the puck on the Clarenville blueline to Doug O’Brien. 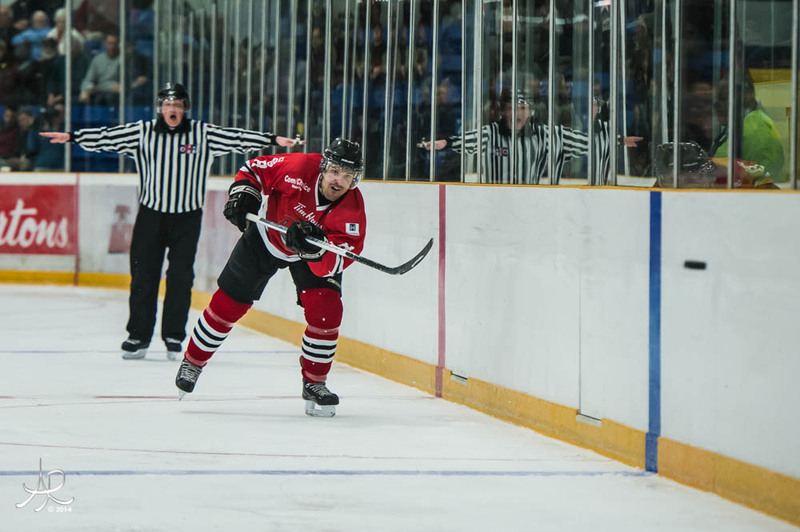 O’Brien in turn flipped the puck over a Kenora defender as Lapointe raced from the penalty box for open ice and the loose puck, which he corralled and fired past Tyler Gordon in the Kenora goal. The counter gave the Caribous a 4-2 lead and deflated the Thistles. Luke Gallant scored into an empty net on an unassisted play to complete the Caribous scoring with 24 seconds left. Rodi Short, Cam Fergus, and Gallant collected a goal and an assist each with Ryan Desrosiers and Lapointe adding single goals. Peter Campbell set up two of the Clarenville scoring plays. 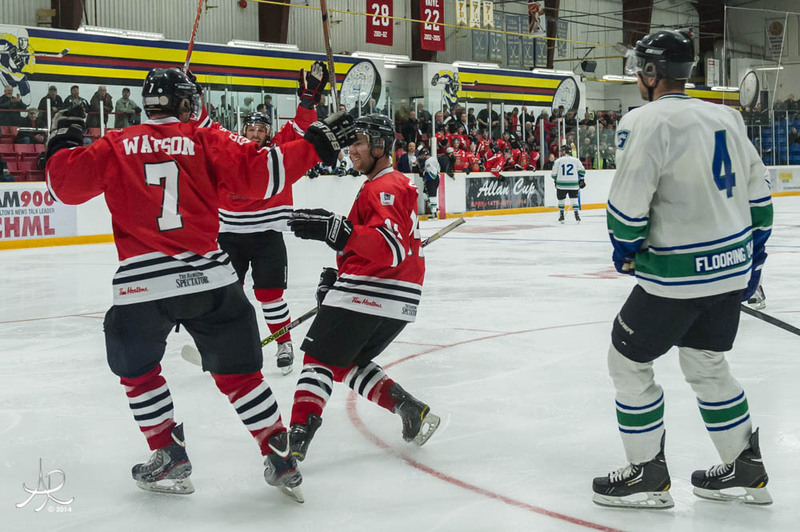 Source: Larry Robertson (Hamilton Scores) DUNDAS—Cam Watson’s unassisted goal from a goalmouth scramble in the third period gave the host Dundas Real McCoys a 4-3 opening round 2014 Allan Cup Hockey Tournament win over the South East Prairie Thunder Monday night in the JL Grightmire Arena. Dundas’ Cam Watson celebrates his game winning goal. 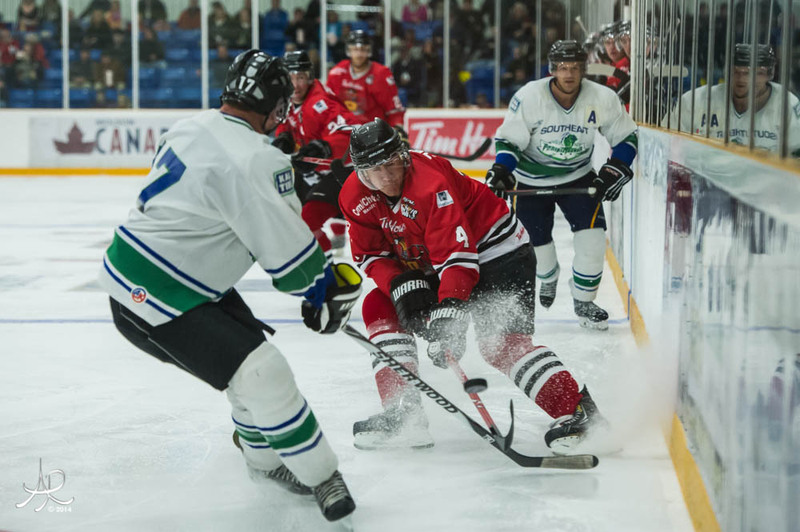 Earlier in the day, the Brantford Blast edged Kenora Thistles, 5-4, to open week-long series to determine Canada’s best Senior hockey club. 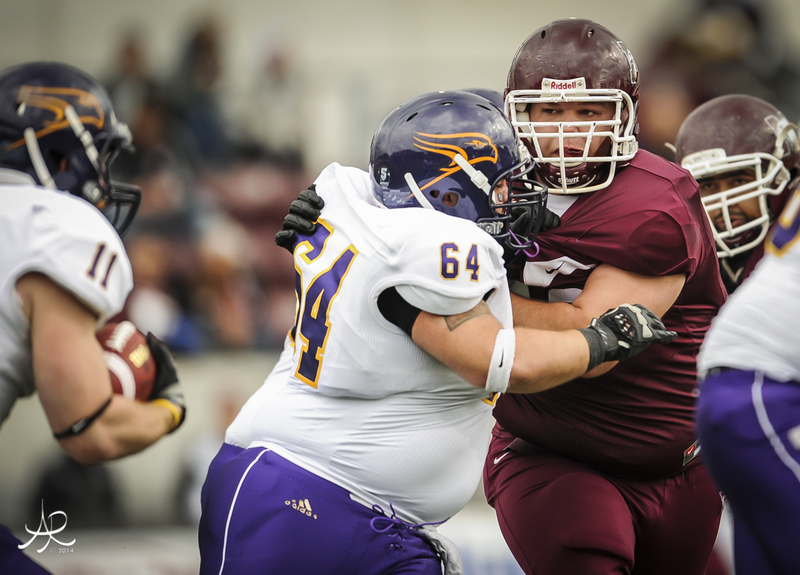 Dundas takes on Bentley Generals from Red Deer, Alberta at 7:30 p.m. Tuesday. Playing at 3:30 p.m. on Tuesday are Clarenville Newfoundland and Labrador Caribous against Kenora. 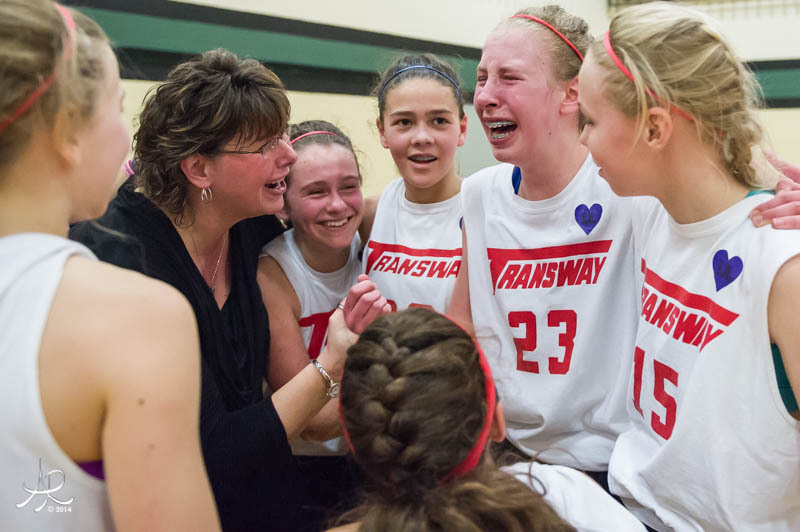 Brantford’s next game is Wednesday at 3:30 p.m. against Clarenville. All games will be played at the Grightmire Arena. 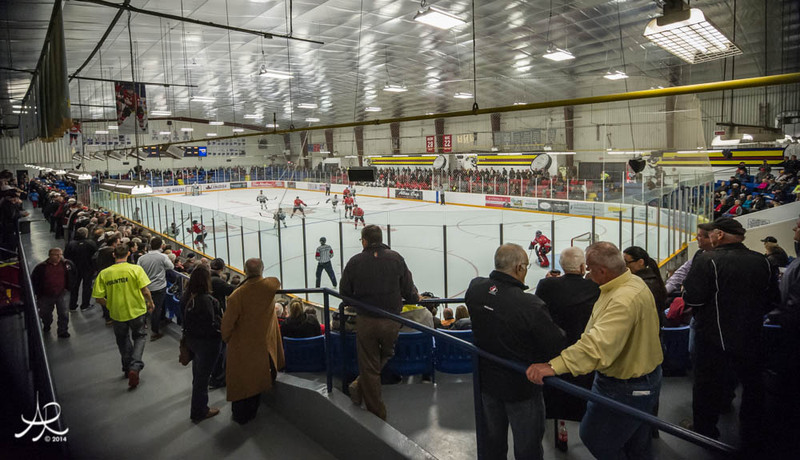 The crowd takes in the 2014 Allan Cup tournament at the JL Grightmire Arena. The tournament continues at the Grightmire through Friday. On Monday night, the Real McCoys had to shake off a penalty shot goal by the Thunder’s Ryan St Laurent. Both teams were even after two periods at 3-3 when Watson scored the game-winner off a rebound. The McCoys outshot South East Prairie, 29-21. Jordan Foreman, Simon Mangos on a powerplay, and Nick Smith rounded out the Dundas scoring, while Ryan Christie and Jason Ward set up two McCoys goals each. Brad Purdie and Shea Hamilton had the other Thunder goals. All three of the South East Prairie goals were unassisted and the Thunder failed to score on five powerplay opportunities, while Dundas was one for six. Joel Prpic paced the Brantford attack with a pair of goals while Chris Leveille added a goal and an assist. Mike Burgoyne (shorthanded) and Dave Russell added single goals. 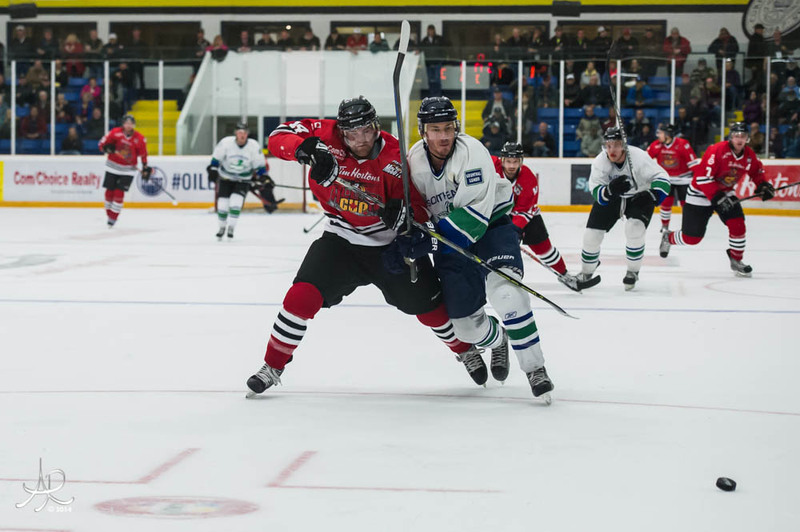 Kenora’s lineup featured two former Real McCoys – TJ Sakaluk and Dan Pitre, both of whom were released by Dundas at the Ontario Hockey Association’s Jan. 10 cutdown date. 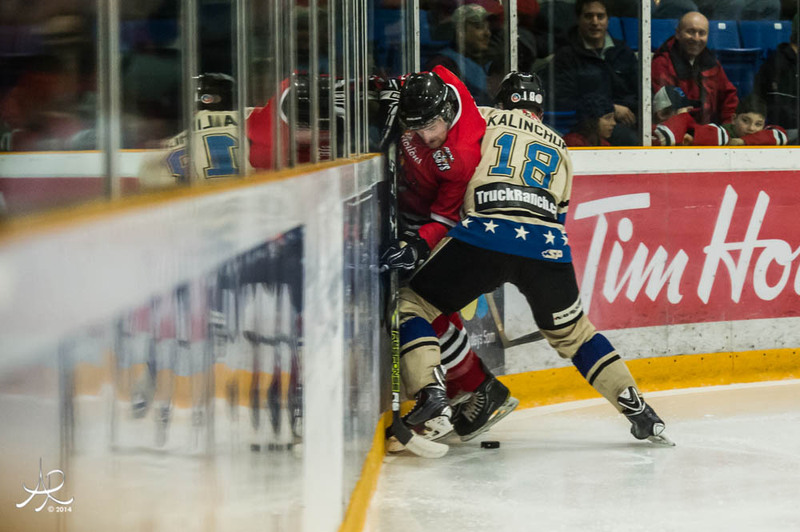 Sakaluk picked a goal for Kenora while Pitre was held pointless. Rob Lawrence, Jesse Baraniuk on a powerplay, and Sean McAslan scored for the Thistles. My Klout is admirable. I'm not famous and I know I don't have a lot of followers, likes, pins, favourites or retweets. I appreciate the time and effort it takes to communicate on social media (SM) and more grateful for the opportunities it creates. Please join me on my journey to Sports Illustrated, NYC. Instagram @bradpix “The wonderful Robin Wilson of @aerialpromotions stopped by for a visit today. Happy to have her spend some time with us, hope she can shoot for us this summer.” & on Twitter [symple_social icon="twitter" url="https://twitter.com/BradSmithSI/status/444179226892455936/photo/1" title="Brad Smith Twitter" target="self" rel=""] from @BradSmithSI. [symple_box color="green" text_align="left" width="100%" float="none"] The Lead Up [/symple_box] I joked about a year ago when I said Sports Illustrated (SI) is going to love this photograph. You may have heard the awkward laugh, but deep down I crave ambition to pursue this starlight fantasy. Here I am on my dream journey to NYC to meet with the Sports Illustrated Director of Photography (DOP), Brad Smith. 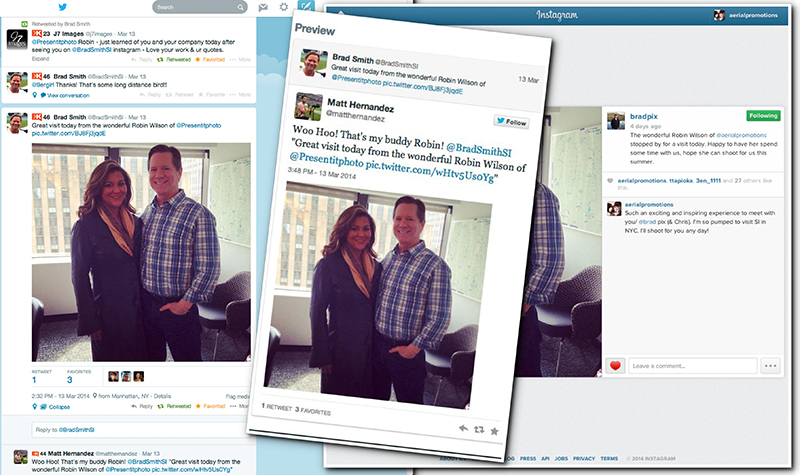 As I blog about my experiences and post images, a direct message comes through twitter. This is an engagement that I embrace and want to develop a relationship like Brad says, "A healthy marriage between editor & photographer". Brad asks, “When are you coming to NY?” OK…put yourself in my shoes. Brad is the Director of Photography for Sports Illustrated. He is the SI cover guy….Yeah that guy!..Theeeeeee Guy! When I shared my news with friends I got the sarcastic, “yeah right” attitude. So when Brad says he has football playoffs-The Superbowl in January, then The Olympics in Sochi, Russia for February and wants you to pick a date to meet…pick a day and wish upon a star to make it happen. The flights were cancelled and the weather was the worst we have ever driven in [ http://instagram.com/p/ldGrSSS5AW/ ]. It took almost 13hrs to get to NYC because the New York State Thruway was closed due to accidents and poor weather conditions. Over the last month my workload has been extensive, but most rewarding. I have put in over excessive work hours and drove thousands of miles to expand my portfolio. Coming from the land of Tim Hortons, I really needed a coffee, but unfortunately another roadblock [http://instagram.com/p/ldOr6Dy5Na/]. White knuckles we keep driving. Due to the weather and dizzy GPS, we don’t know our ETA. We do know that if we travel East we won’t go in circles anymore. Yes it was that bad! To have a great support system when following your dreams is heartfelt. My parents up in Northern Canada Cottage Country are entertaining the kids, my husband is determined to drive straight through the storm just to get me to my meeting on time, friends reach out on social media (SM) for encouragement and photography colleagues assist me on final details of my portfolio. 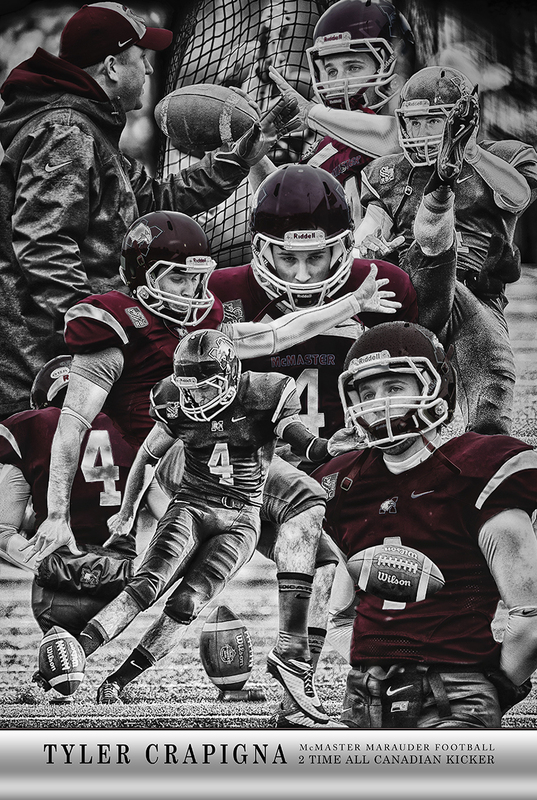 Look for the peripheral things going on and encompass the whole game…even the portrait of a player on the sideline…it’s important to tell the whole story and include them in your portfolio. 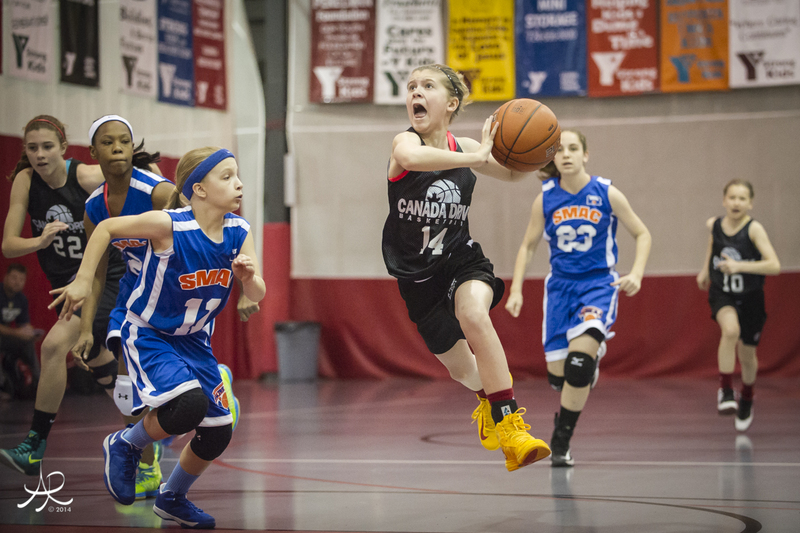 Keep shooting even when the play ends or when no one around you is working! What do you want to show me? What do you want to do? I want to do it all, but I need to impress Brad with my action photography. Although I know I would love to do feature work too (Like Robert Caplin). There is limited time and I really need to show him what I want to do...ACTION game photography. Show your best work first…Images you can’t take your eyes off. Because portfolio reviews are based on judgment, many people have different opinions. I have had the some of the finest people in the industry assist me in choosing the best images for my portfolio. Now I have my most important sports photography review of my career. I am about to enter the Time & Life Building in New York City to meet with Brad Smith, Director of Photography Sports Illustrated. I was a half hour early after security. There was a gentleman from an advertising agency who does work for InStyle, People, Time and SI. We had a nice conversation in reception. 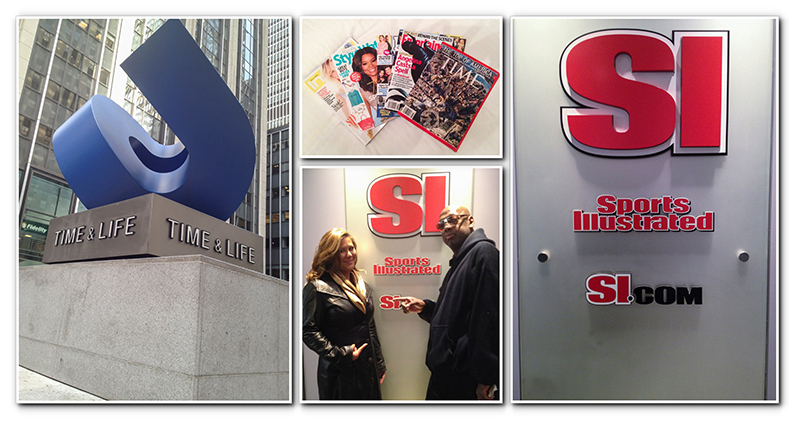 When I arrived at SI, two fun loving characters met me at the front door. They rolled out the red carpet and loaded me down with some fabulous reads. 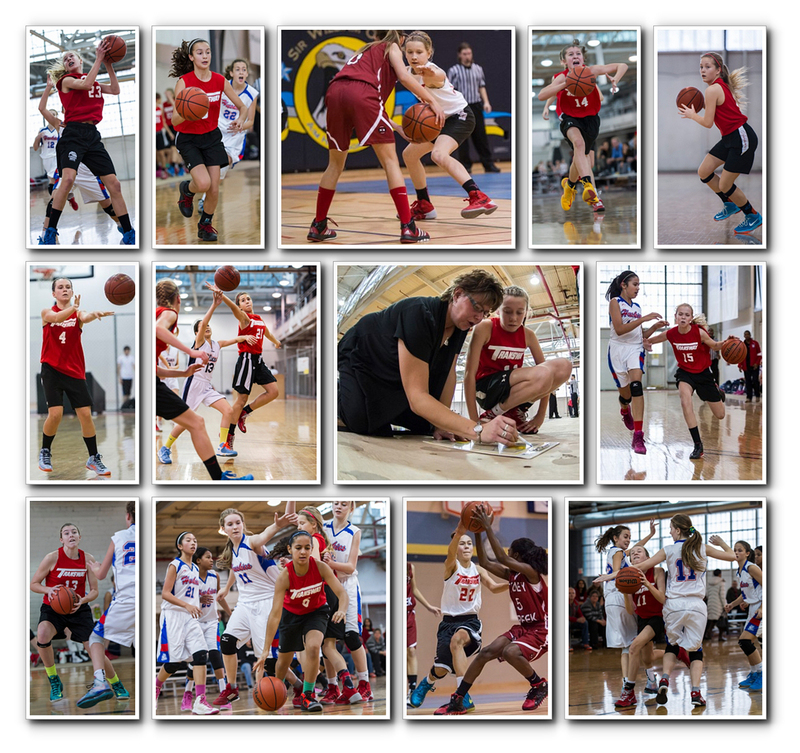 What resonates with me when I watch Brad review my images is how he emphasizes with the athlete. “More head trauma, only if they knew what they know now, unfortunately it makes a great shot.” Because I was trying to show my ability to capture prime action, many of the portfolio images were of collisions or impact. Brad then says, “Another great shot of a defender…there should be more of it.” I’m starting to understand that Brad want’s to see unique images and not what he sees come across his desk everyday. He does mention that SI still needs the portrait of the QB and the story image. I feel I should have shown more variety in my photography. I have it, I just didn’t build my 20 images with this in mind for the initial portfolio review. Brad is a very busy person, but was generous with his time to see more. Brad suggests that I shouldn’t show all my action cropped-tight with a 400. He acknowledges that I can shoot action, but to try a new perspective by lens or angle to make a more interesting image. Did I mention that I rock the fisheye! Sometimes you need to feel failure in order to succeed. I still felt at ease because Brad has the most wonderful, kind and sincere demeanor about him. I think the title purely “Authentic” in front of his name is justified. 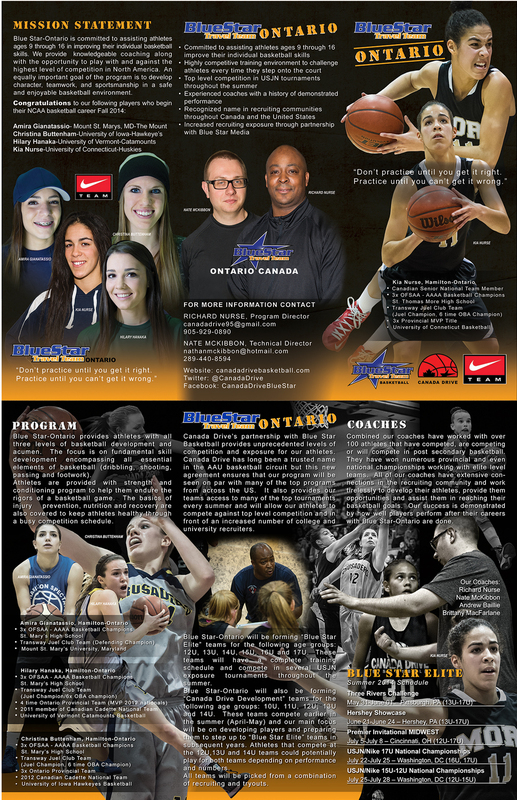 He asks me, “What do I want?” A question that stimulates an electrifying response, “I want to shoot for you!” If you need someone to cover any Canadian events or Detroit or Buffalo…as a take a deep breath…The Pan Am Games are coming to Toronto and the NBA All Star Game soon. Brad explains the process and what SI will cover. OMG, then I hear, SI will get you credentials to shoot for us at the Pan Am Games. 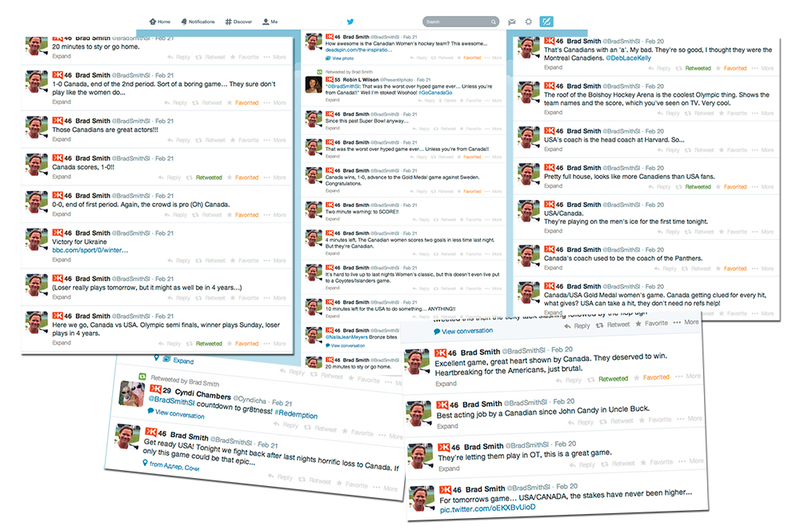 We will run a section and you can cover the Pan Am Games for Sports Illustrated. I am giddy like a schoolgirl, but trying to contain myself. I now have the most perfect opportunity to prove myself as a Sports Illustrated photographer. I have access to 36 sports with 7000 athletes in my own backyard venues. I can research, practice and prepare the most unique photographic images I have ever done. Most importantly I will be able to capture these elite athletes at a prime moment in their athletic career as I fulfill mine. Another gentleman comes to visit, Chris Chambers. Brad introduces us and explains Chris was an editor for Getty and edits the NBA, NFL and Motorsports for SI. We go into the boardroom and chat a bit about the industry. 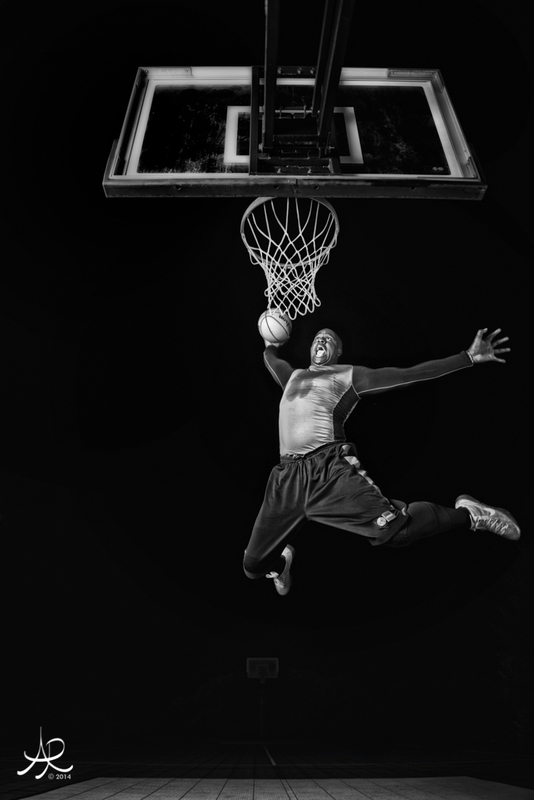 I then start to show Chris some of my photographs, more specific to football and basketball. Chris advises me that it’s about access and what is available to you. He said, even though you are shooting amateur sports you are taking great photos. Hearing him say, “No doubt you can shoot” makes me so happy. Chris than spoke to me about layers. Everyone has a purpose to make the photo better. Fans create the energy; band makes you move, coaches direct the game and so on. Chris says he want’s to see the one blade of grass in the forefront of the photo leading up to the action and then the crowds reaction. I need to be responsible for everything in the shot. Even when the shot's not clean try to make it a part of the story. This conversation was very inspiring because I want to emote this in my photography always. Today as I review my photographs with fresh eyes, I understand how I can make my portfolio better. I want to intrigue the viewer and make them stay in the moment- frozen in time. I want them to see something different, build an emotion through the layers and not take their eyes off my photograph. I am not afraid to fail, but anxious to experiment and achieve greatness in my photography. THANK YOU Brad! 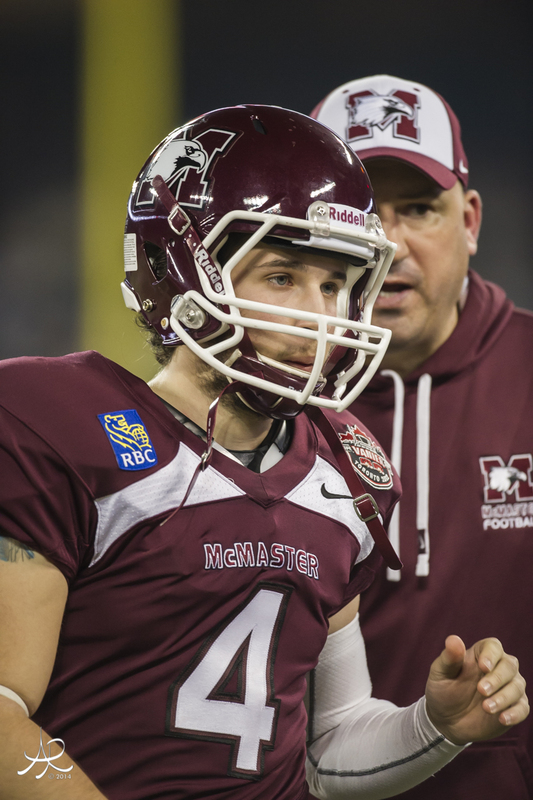 A huge shoutout to all the amateur athletes who give it everyday, CIS, OCAA, OUA and McMaster football who allow me to capture the good, bad and the ugly. Thank YOU to all of my friends, family and colleagues who support me. I am very grateful for my young athlete followers and will always keep it real. Thanks for all the retweets, likes, favs and your encouragement. I want my kids and husband to be proud of me and love them for joining me on my special journey. Check out some of my colleagues great work. I appreciate the help with my portfolio selects: Matt Hernadez, Brandon Taylor, Scott Thomas, Hamilton Scores-Denis LeBlanc & Sean Healey. I LOVE BEING A PHOTOGRAPHER! How bout a reality series for photographers like America's/Canada's Next Top Model EH? 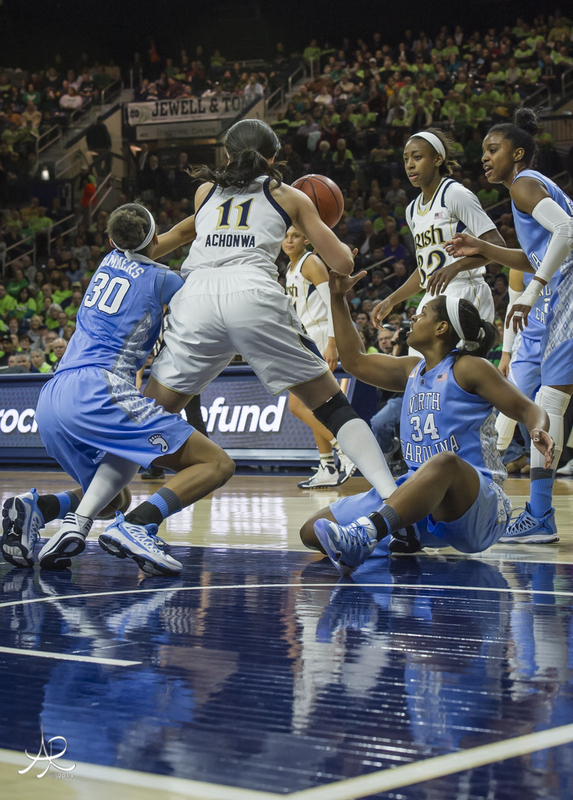 Not only is Achonwa in the record books with three consecutive NCAA Women's Final Four appearances, including two NCAA national championship games, she is a five time Canada Basketball Team selection. Natalie began her international training at the tender age of 14 in Hamilton, Ontario. In September of 2009, Achonwa became the youngest player to be selected for the Canadian Senior Women’s Basketball Team at the age of 16. Achonwa has recently competed for Canada at the 2012 Olympics in London, England. 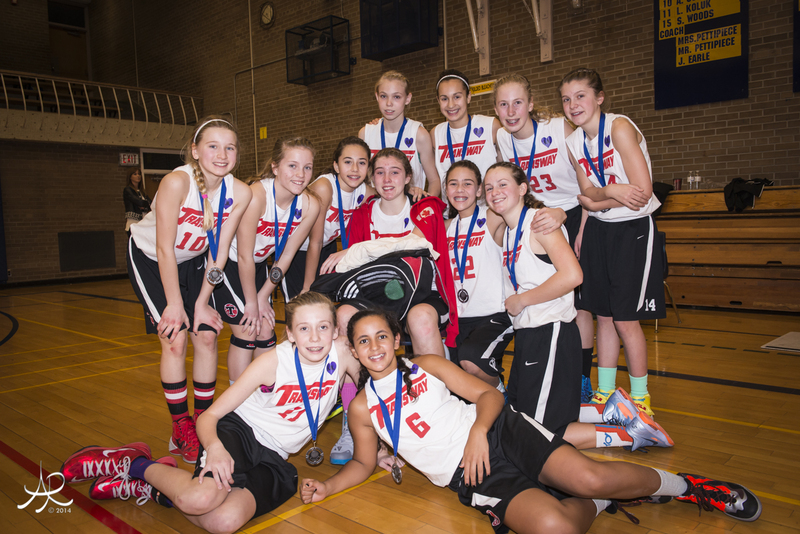 Natalie was a part of the Canadian Team that won Silver at the 2013 FIBA Americas Championship in Xalapa, Mexico. I met Natalie at (DJ’s) David Johnson’s Basketball Clinic. 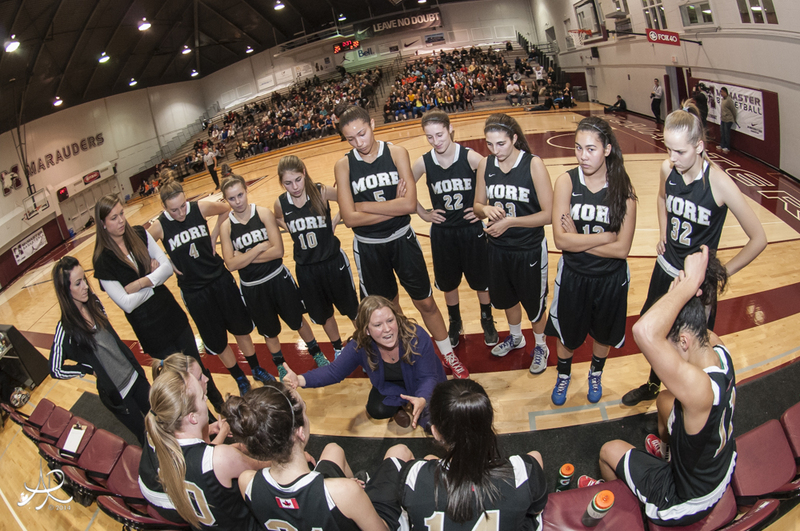 Read More: [real-basketball-mentors-making-time] Although Natalie is from Guelph, Ontario she feels connected to Hamilton because she is a graduate from St. Mary’s Catholic Secondary School and trained with the former Basketball Canada’s NEDA (National Elite Development Academy) program at McMaster University. 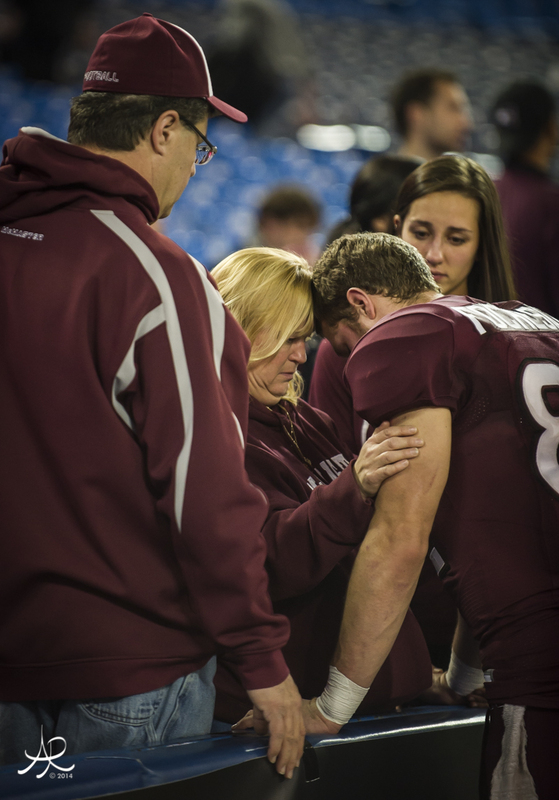 It was her last regular home game of the season and as a senior. What better reason to take a road trip to South Bend, IN. We started out late and drove through the night. The last hour was the worst with the storm, whiting out most of Indiana. 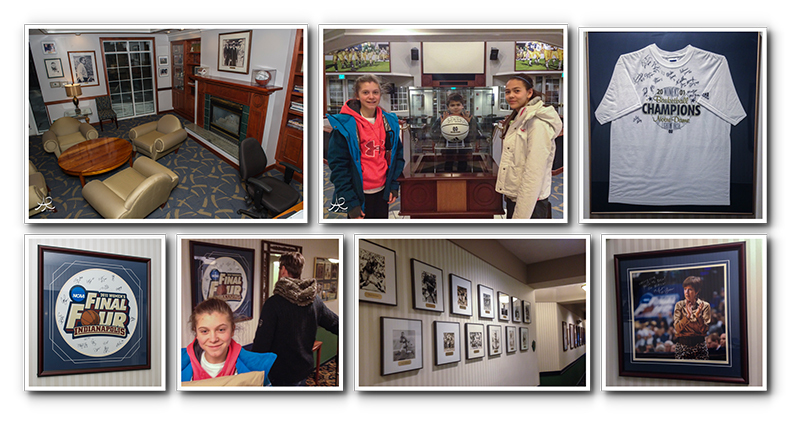 When we reached the Varsity Club Suites, we were overwhelmed with the sports memorabilia that adorned every wall of the hotel. After a few hours of sleep we arrived at the University of Notre Dame, almost 2 hrs before the game. It was nice to see the famous Football Notre Dame Stadium right beside Basketball Joyce Centre-Purcell Pavilion. Of course the girls needed to get a sharpie for some autographs and a little Irish spirit. There were many alumnae, the fans were animated, you could feel the oomph and the fun was just beginning. Can you say “Energy stimulus overload”. It's the crowd, band, cheerleaders, fans, scoreboard, music, Dance Cam, Jumbotron to the fine detail of the basketball popcorn bowls. My family was thrilled to be there, huge fans of “ACE” (Natalie's Nickname) and very grateful for the phenomenal seats. The coaches came out in style. Muffet McGraw and her beautiful coaching staff came out in blazing hot red to celebrate her # 1000th career game. 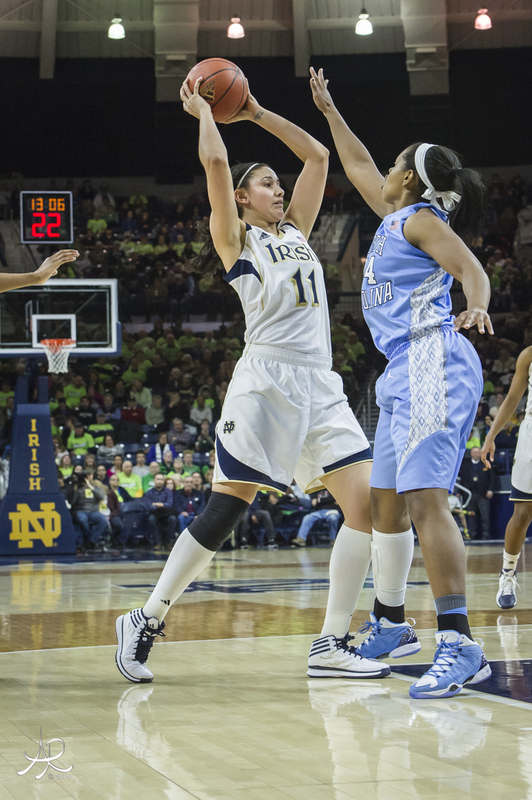 Natalie finished with 24 points, 8 rebounds and 2 assists. 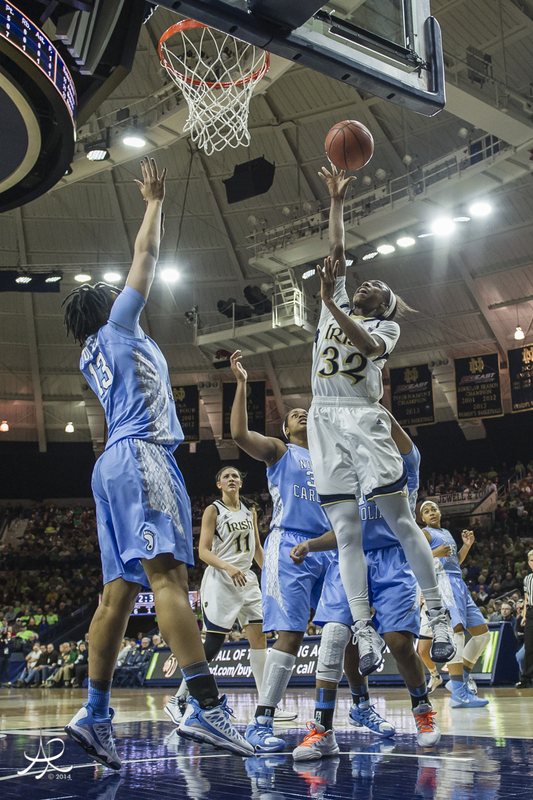 Notre Dame finished the regular season with a perfect record and the second longest winning streak in University history. 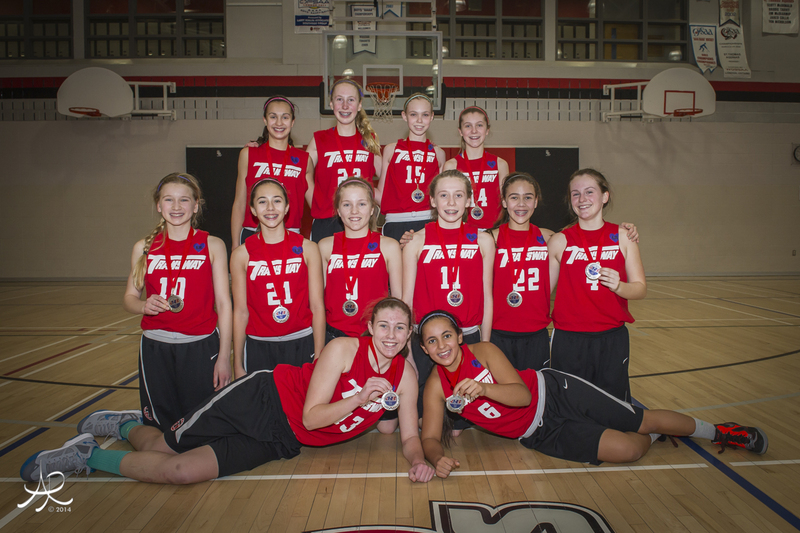 Although my main focus was Natalie Achonwa (#11), her other teammates were exceptional too. 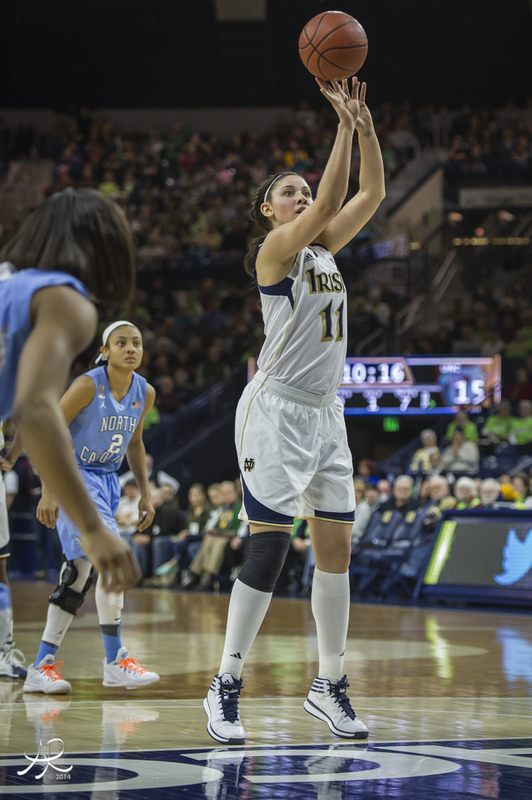 Notre Dame Senior Tri Captain, Kayla McBride (#21) netted 28 points. 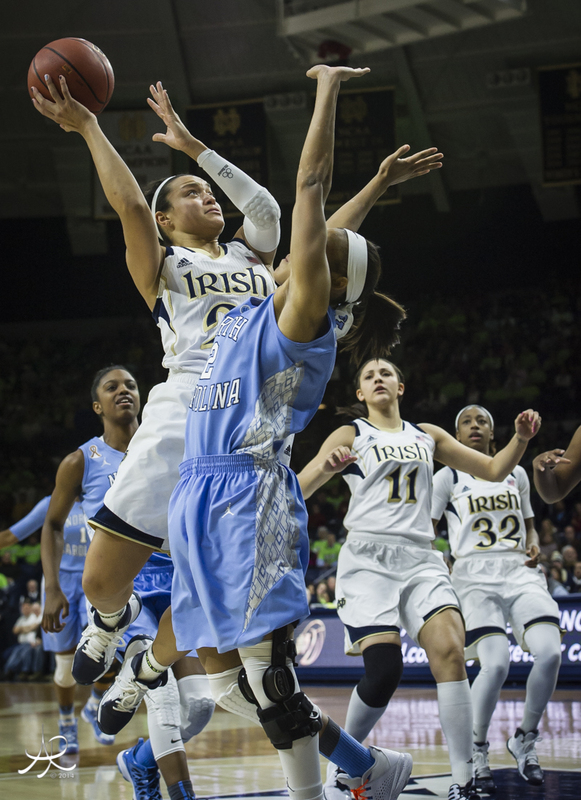 ND Sophomore, Jewell Loyd (#32) was double trouble for UNC with 12 points and 10 rebounds. 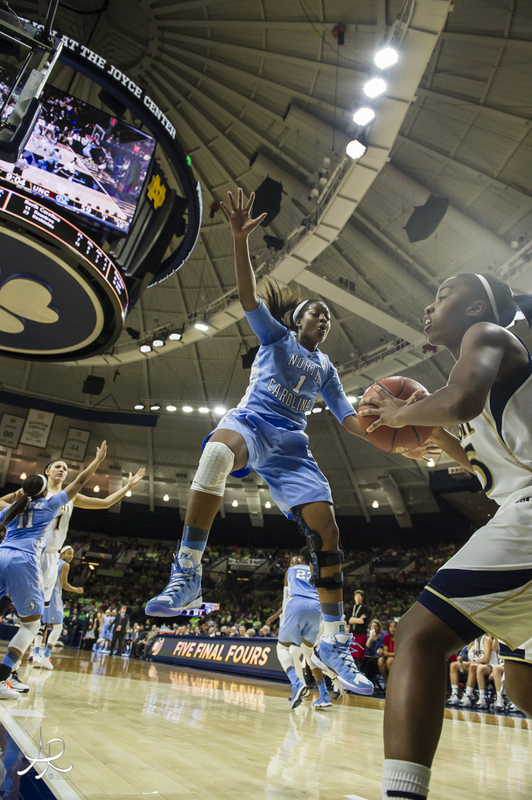 The very young University of North Carolina team was led by Tar Heel, Xylina McDaniel(#34)-18pts and Diamond DeShields(#23) with 17pts. It is an amazing experience to watch an NCAA game in the home venue of a team you cheer for. 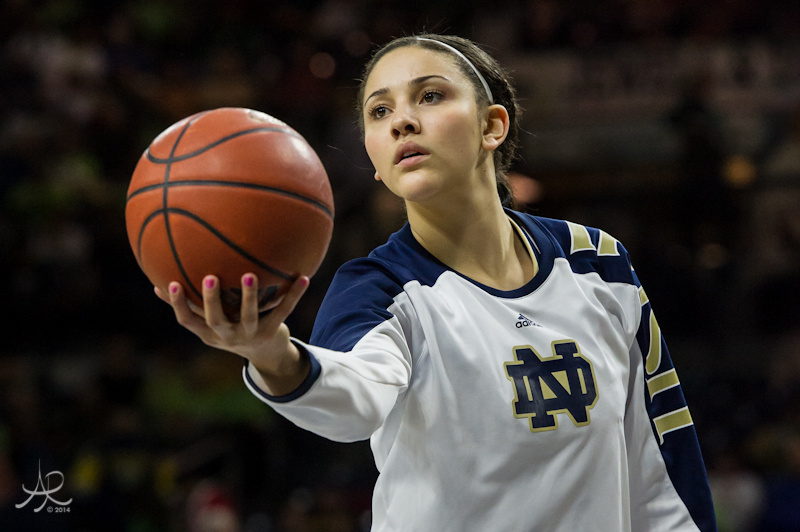 We have all the more reason to love The University of Notre Dame because of Natalie Achonwa. 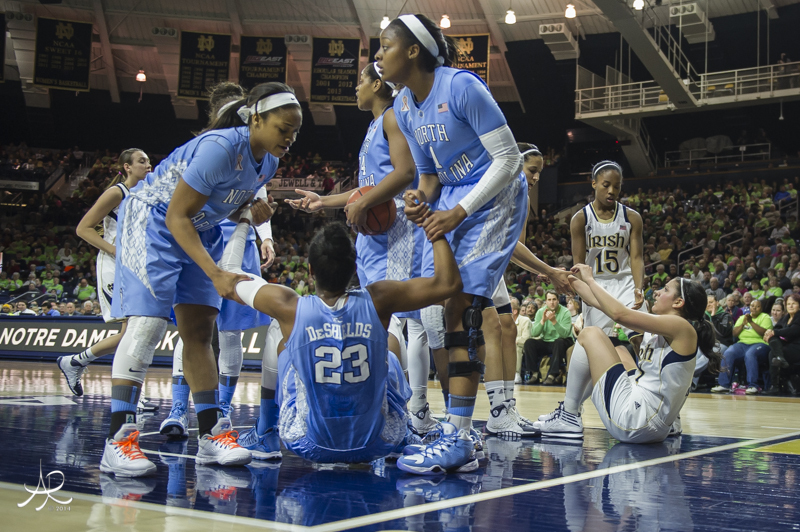 Nat said ND would love to have us and EVERYONE treated us like a lucky charm. Remember the back of this jersey. Pronounced "uh-CHAWN-wha". Natalie, AKA "ACE" is not only a basketball player but a true motivational leader and role model for young student athletes. 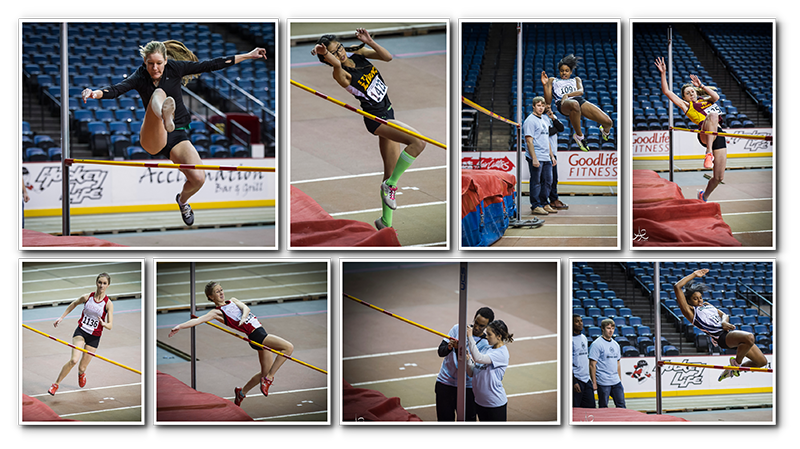 The 89th Hamilton Indoor Games were held last week on Feb.21st, 2014 at First Ontario Centre (Copps Coliseum). I really enjoyed meeting Track Star, Meaghan Rice from St. Marys. I used to love Track and Field and found Meaghan to be a multi talented athlete. When I met Meaghan, she was talking to herself by the high jump pit. I immediately saw the big "M" on her sweatshirt and asked if she was from St. Marys. Funny story! When I was in middle school, I trained with Athlete's International. I begged my parents for a high jump shoe...yes just one shoe OMG-LOL! Then when high school came I trained with a javelin and discus. My neighbor's dog would play catch with me....just kidding! So many styles of high jump. 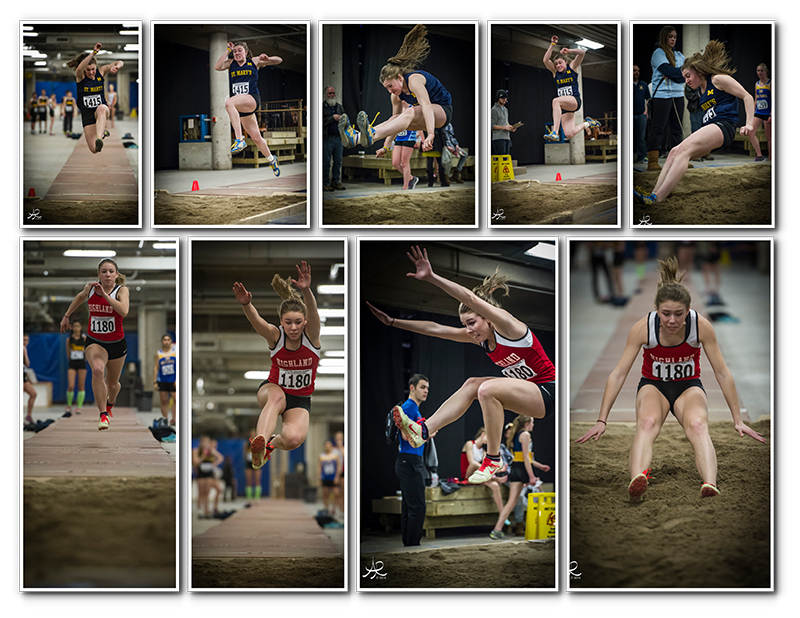 The Fosbury Flop, Scissors and I don't know what some of these other ones are. 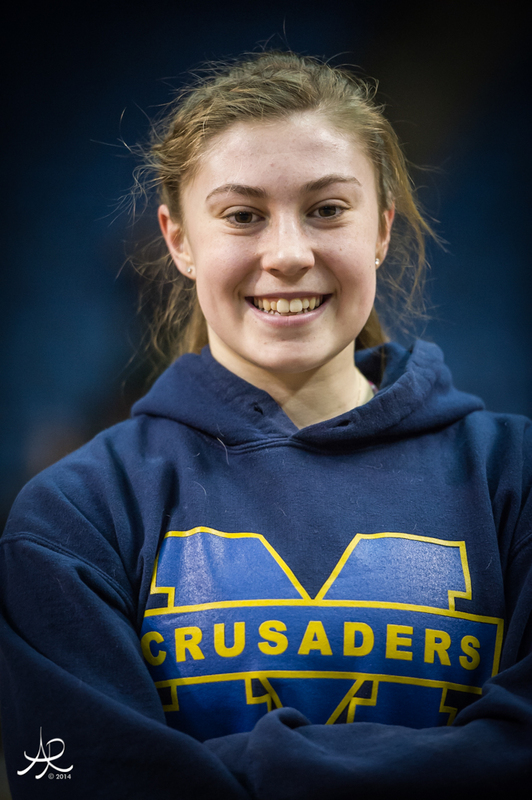 Congratulations Katrina Kerekesch from Highland High School in Dundas with a first place jump of 4.39m. With all the Canadian hockey love during the Olympics, it helped me to produce the 2013-2014 DMHA yearbook. It is always a lot of work for all the volunteers and community to gather and submit the images and content, but they did an amazing job! Special shoutout to Amy Yanover who in my professional opinion was a dream to work with! The yearbooks will be distributed on March 22nd at the Dundas Minor Hockey Association Championship Day! 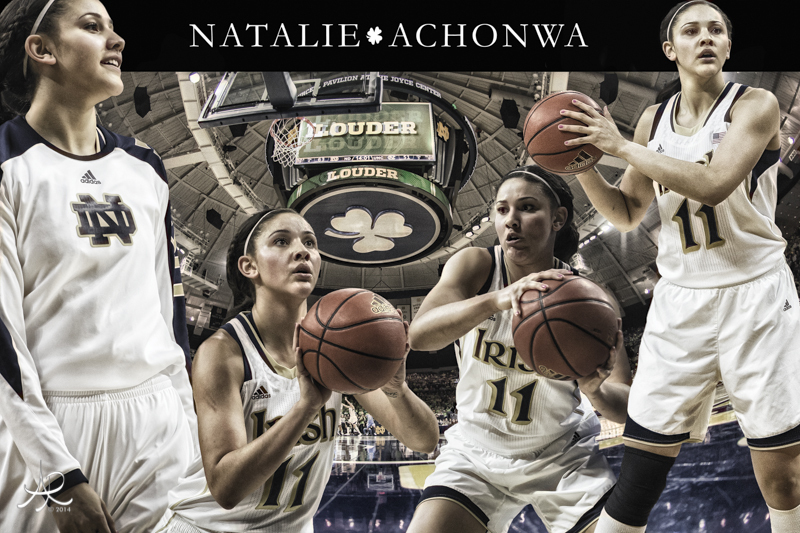 Natalie Achonwa plays her final home game of the season on Thursday, February 27th, 2014 at the University of Notre Dame, IN. I love American NCAA Basketball and a good roadtrip. 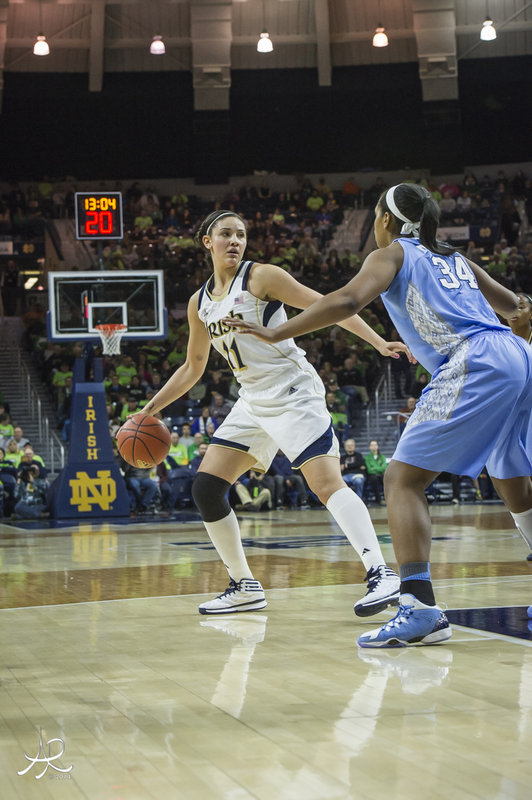 Can't wait to see Natalie in action on the court against North Carolina. 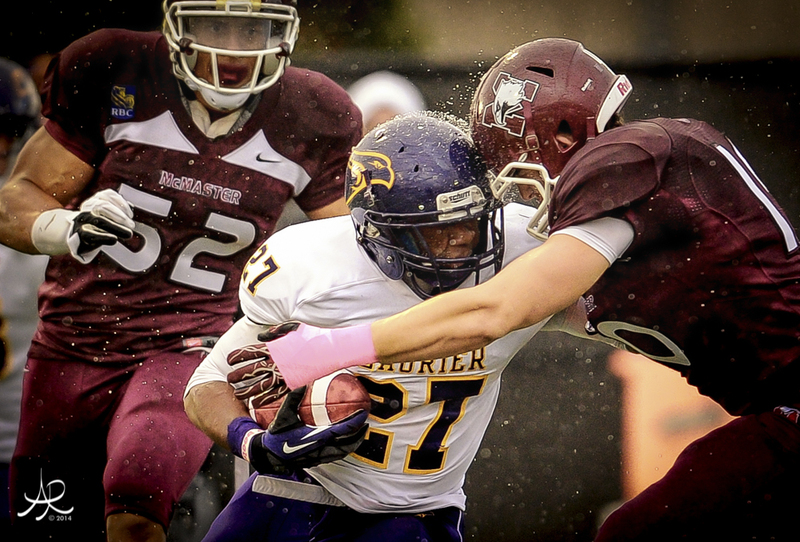 Friday, February 28th I will be back in Hamilton to photograph the Bulldogs take on some Monsters from Lake Erie. 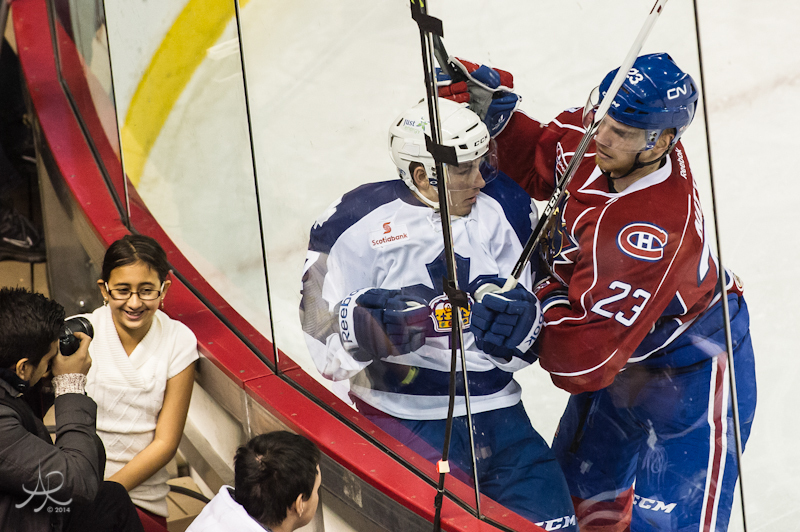 Joonas Natinnen pins the Marlies for Lucky girl to get a quick click! 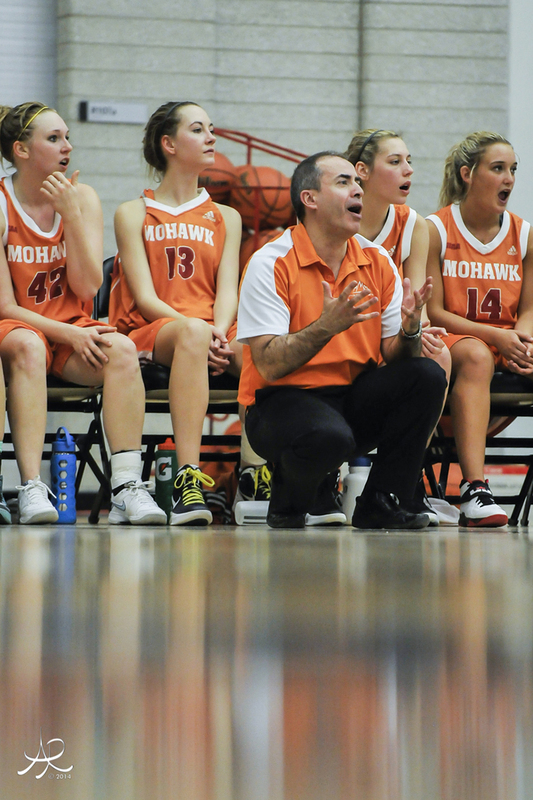 The Ontario Colleges Athletic Association’s 2014 women’s basketball champions will be decided Feb. 27-March 1 at Mohawk College. I LOVE BEING A PHOTOGRAPHER! Social Media Please like us onfacebook, follow us ontwitterand comment on our photographs/design on our blog. The wonderful arenas we get to visit throughout the season inspired the font cover. Symbolic of "Beaming Character", that still is and once was. I felt a sense of belonging and history when I walked into the Orillia Community Centre Area in Coldwater, Orillia. The staff was exceptional to allow me access to photograph. The newest venues are stunning with state of the art facilities, but when that Zamboni came out it was breathtaking! Best of Luck to the Basketballers! 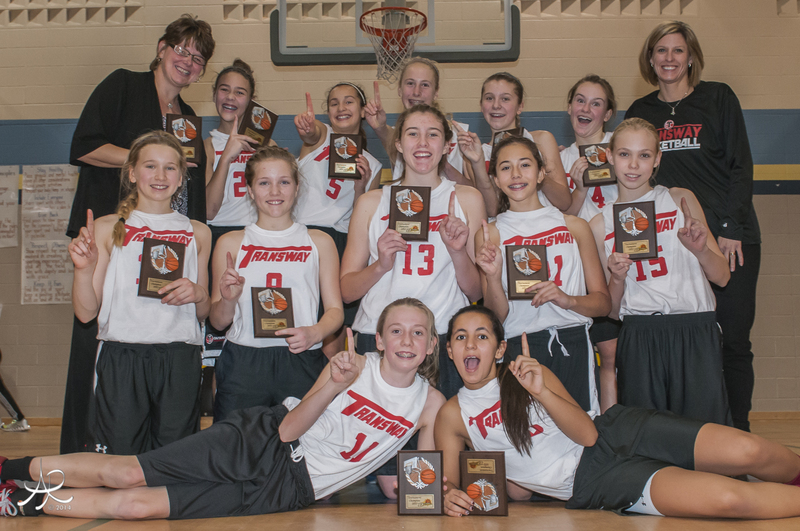 The Transway Bantam Girls AAA Basketball team plays this weekend (Feb. 7-9, 2014) at Glenndale High School in the annual Hamilton Transway Tournament. 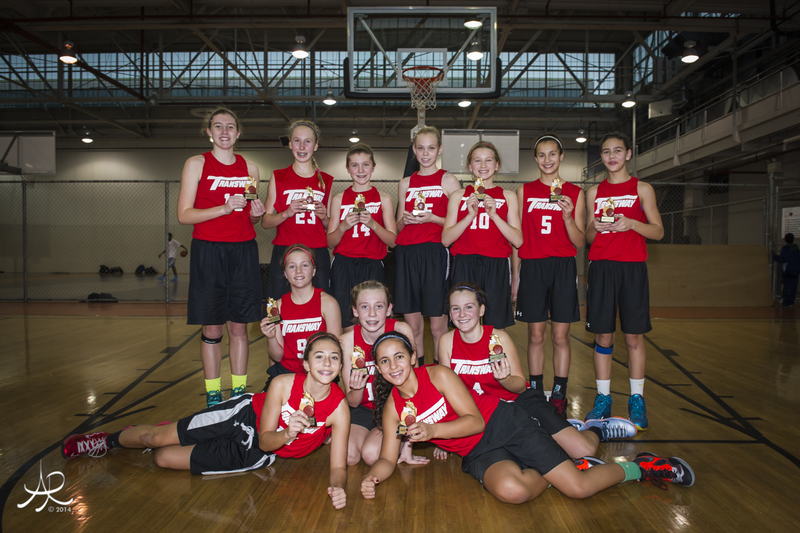 Wishing all the basketballers great tournament play and safe travels! 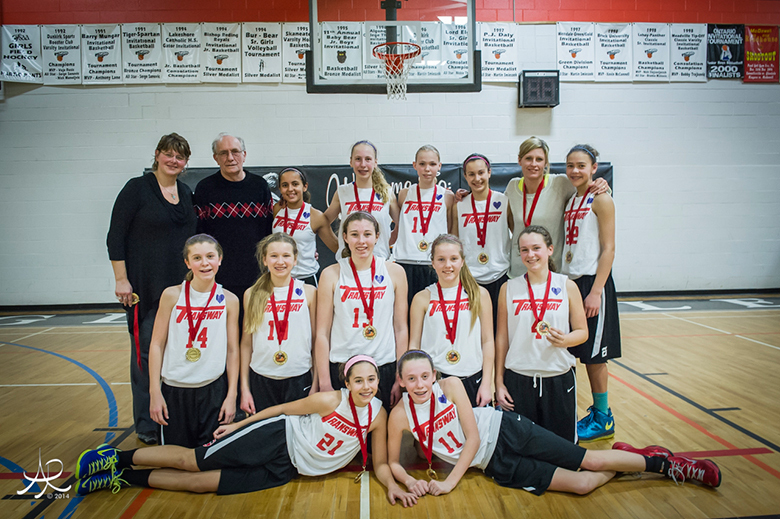 Transway Bantam U13 Girls AAA Basketball Season 2013-2014 [View Photographs] More Coming Soon!